Do we have to sell the house to pay for care? 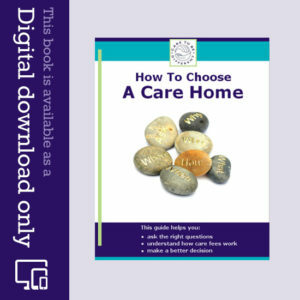 Care to be Different > Articles > Care fees > Do we have to sell the house to pay for care? Here’s a very common story we hear from many families who are trying to make sense of the care funding maze. Most are told to sell the house to pay for care – and yet they may not need to. “My father is currently in hospital awaiting discharge. He’s been ‘assessed’ by Social Services who have decreed that he can go back to his house with a care package in place. As yet, we don’t know what that care package is likely to be, or exactly what kind of assessment he’s had. No one told us it was even being done. My father is frail with various health issues and he’s cognitively very confused and therefore vulnerable on many fronts. His family feels he needs full time care. In my view he should go through the NHS Continuing Healthcare funding assessment process. He does not want to go back to his house, and has told us this. Historically, he has had a care package at home, but it has generally lasted only 48 hours before he’s been back in hospital. So do we have to sell the house to pay for care? This is the kind of misleading information that families are given every day by people within health and social care. 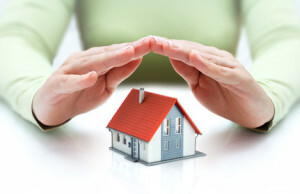 Always remember – you do not necessarily have to sell your house to pay for care! Sadly it’s not unusual for ‘assessments’ to be carried out without the family’s proper involvement – and indeed the wrong assessments at that. Read more about care assessments. 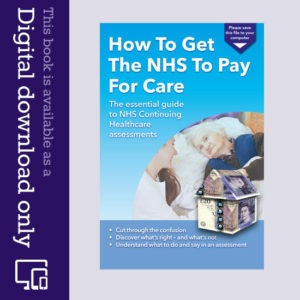 Keep in mind the key point that it is not a person’s money or assets that determine whether they pay for care; it is their health and care needs ONLY. So don’t be put off by anyone who tells you have to sell the house to pay for care – or that you always have to pay for care if you have savings. The only way to know if you have to pay for care is for your health needs to be assessed – not your money. Be sure to read this vital information about care fees before you agree to pay anything. My mother in law was taken into care after being discharged from hospital. We were initially advised that it was for respite until her mobility improved. 3 mths later a best interests meeting was held and the made the decision that she would stay their permenantly. They said there would be a 12 wk property disregard as she owned her own home the she would need to start paying towards her care. Unfortunately she passed away in January and the local authority have now sent an invoice for over £27,000 to pay for the rest of her care fees and are expecting for her house to be sold to pay it. We are not aware that anyone had authority to do this as no power of attourney or court of protection was in place and to our knowledge she was never assessed for continuing health care. Please can you advise if we would be able to contest this invoice and clarify if she should have been assessed to have her care fees paid for. My parents are currently having to fund my father’s care (in a residential home) and we are about to appeal against a negative outcome for the NHS Continuing Healthcare. When they run out of money, how far back will the local authority be allowed to scrutinise my parents accounts? My mum has her own flat. But she had massive stroke. I care for her at my home, she is peg feed. She can’t do anything for her self . I get four hours respite per week . My bedroom is stored at my mum’s and of course all her belongings. Now council want her to pay for her own care five hundred pounds per week. Can the care be removed? My father has had to go into a care home following a stroke and unable to continue at home , having frequent falls . He is self funding but is their any funding that he can have , he still has his property and does have savings , surely he must be able to claim for something . I would be grateful for any advise this is all new to us and thought it would be worth enquiring. My father in law has failing eyesight and has care at home which is paid for. My mother in law has just left hospital (3 weeks) after a fall at home. She has been diagnosed with cancer and whilst she has interim care we are sure they will be better off in a nursing home or similar. Will they have to pay for this? My Mother has been assessed for NHS Continuing Healthcare and is now in a nursing home, but we have to pay a topup of £175.00 per week. She has a bungalow which is empty so if we sell it now will she be liable for paying back Pensions credits or previous social care fees? Eleanor – you mentioned that your mother has been assessed for NHS Continuing Healthcare but that you’re paying a top up. Did she get thorough the assessment process? i.e. is she actually receiving the funding now? If so, you shouldn’t be paying top ups at all; these are only for social care.